Creating a new section on the Play Store for "Android Excellence"
Jake and I had been "Top Developers" for a few years. I don't think that it actually affected the number of downloads we received, very much, but it was a pretty satisfying title non-the-less. I was skeptical of it's removal, but I haven't seen any significant impact on install counts in the aftermath. Last week, Google announced that they were making changes around their Play Store search ranking algorithm to help surface quality apps by accounting for crashes rates and developers focusing on performance. Through the developer console on the Play Store and Firebase, Google provides some in-depth statistics for both crash rates and performance issues (load times and ANRs). This information has been readily available for quite awhile, so I was surprised to hear that they are just starting to take it into account now. My apps aren't perfect by any means, but if there are crashes - even ones affecting a very small subset of users - I do like to get them fixed. Performance is something that I focus on throughout the entire development lifecycle, as well. Talon has almost always been near the top of the list of third party apps when you search "Twitter" on the Play Store, so I haven't seen any real change to it's visibility. Pulse, on the other hand, has seen a pretty huge bump in the day-to-day installs and that has been reflected in the daily revenue as well. Since it is still relatively new compared to the competition, it is more difficult to reach the top of the Play Store search list and get discovered, which is one of the major issues with releasing a brand new app in an oversaturated Play Store. The graph above show's Pulse's download counts, over the past month. Google announced the new search algorithm on Thursday, August 3rd. 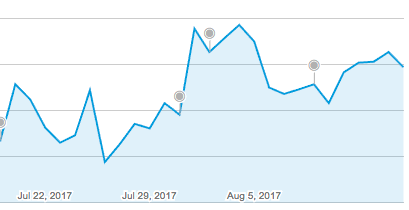 If I had to take a guess, the new search algorithm went live on Monday, July 31st or Tuesday, August 1st. Looking at the graph, we can see a distinct spike in the download counts over those days. In my experience, the patterns on this graph are pretty typical. You can see that it follows a bit of a wave, with some days up, and some down. When comparing the average on the past two weeks to the two weeks before that, Pulse is receiving just over 25% more downloads every day. This is a pretty major win for any app! Usually I do see increased download numbers after a major update to the Android app, but I have been focusing on the web since the beginning of June, so I have been sitting on v2.4 of Pulse for a few months now. With that information, we can conclude that these increased download numbers are the direct result of the search engine changes. That is pretty neat and it is great to see Google providing tangible results of its effort to surface the quality apps in the Play Store. I would be remiss if I didn't give my opinion on the "Android Excellence" category, as well. While I think it is a great idea, it is really only going to help the big players and there are so many small-time apps that deserve recognition. This will be a space where the top companies will be able to have their work highlighted and distributed. 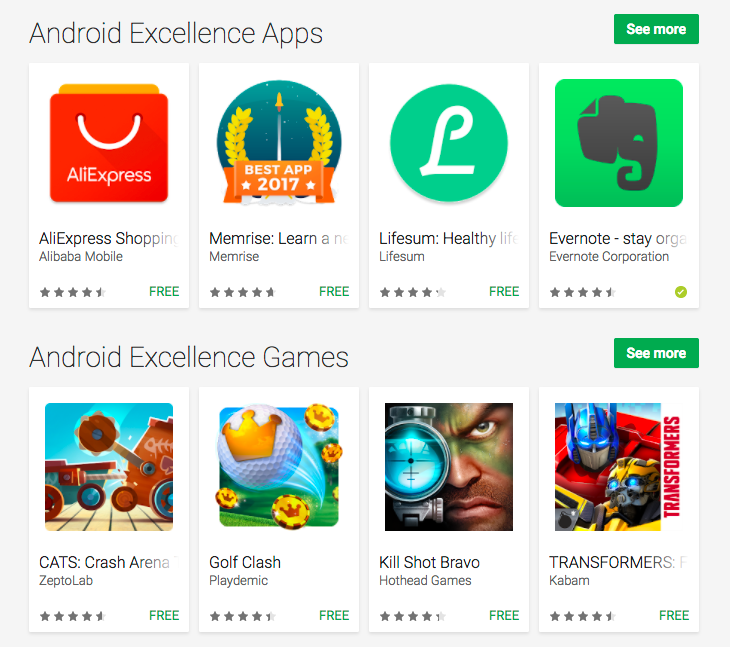 I understand the rationale behind that: Google wants the best of the best to be on the front page of the Play Store. An app like Pulse SMS or Talon for Twitter probably never make it here, which is disappointing, but understandable. With these search engine changes, it does seem like Google is making a real effort to bring quality apps to the fore-front of the Play Store, which I think is fantastic. Hopefully we continue to see changes like this and awesome new apps getting the recognition they deserve.